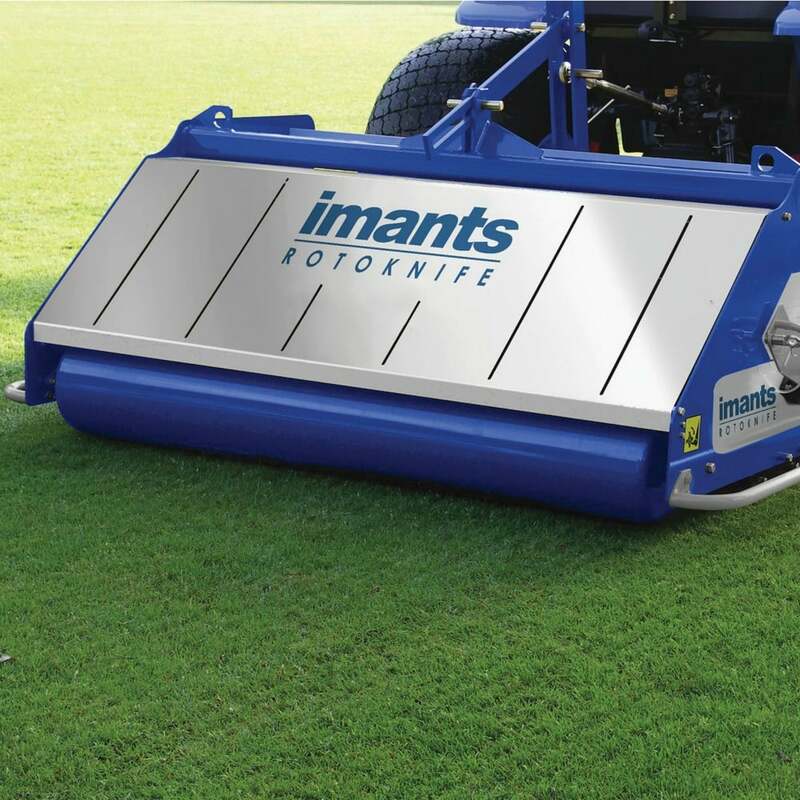 The Imants RotoKnife is a versatile, effective linear aerator. It is designed to relieve surface compaction, improve aeration, reduce thatch build up and remove surface water. The RotoKnife is fast across the surface and is also a versatile rootzone management tool. The disc rotoshaft can be set in any of five positions offering flexibility in working depth and linear spacing, allowing deep slitting to a depth of 150mm or shallow slitting at 50mm spacing. The RotoKnife is an ideal rootzone enhancement tool for both warm and cool season grasses and can even be used as a surface smoothing roller.